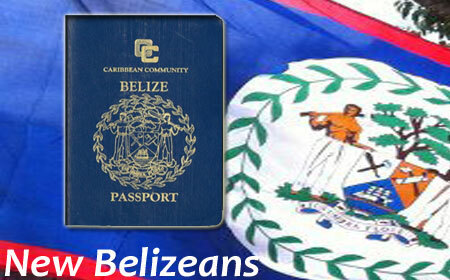 BELMOPAN, Fri. June 26, 2015–Guatemalans constitute the predominant national group among persons receiving Belizean citizenship. At today’s meeting of the House of Representatives, Prime Minister Dean Barrow disclosed, in answer to a question from the Opposition People’s United Party, that 104 Guatemalans were among the 439 new citizens sworn in during 2014. Barrow said that the Guatemalans had been sworn in after they renounced their Guatemalan citizenship and completed the necessary processes to become Belizean citizens. This clause primarily applies to citizens of Guatemala, which has resurrected its claim to at least half, and as much as all, of Belize, and which wants to pursue its still un-clarified claim at the International Court of Justice (ICJ). Back in 2012, then Minister of Immigration Carlos Perdomo had told us that the bulk of new Belizeans continue to be from neighboring Central American countries, particularly Guatemala. This has consistently been the trend across political administrations. As we noted in June 2008, a few months after the ruling, United Democratic Party began its term of office, 64 Guatemalans were among the 179 new citizens who had been sworn in. This represented a figure of 35%. The previous year, 2007, the then People’s United Party administration had approved citizenship for 550 new citizens, and 40.9% of all new citizens were Guatemalans. Among the 439 who became Belizean citizens in 2014, there were also Hondurans (61), Salvadorans (37), Nicaraguans (9), Chinese (34), US citizens (30), Mexicans (8), Lebanese (5), Jamaicans (4), a Liechtensteinian (1), Filipinos (2), Indians (9), Nigerians (14), British (3), Pakistanis (2), Panamanians (2), Columbians (2), Taiwanese (2), Belarusian (1), Canadians (10), Trinidadians(1) and Venezuelans (3).